Spend a dream night: sometimes it’s enough to find peace, fall in love, wonder. Forget the usual hotel room, those all look alike and discover Italy sleeping in original and unusual accommodations, and even eco-friendly. 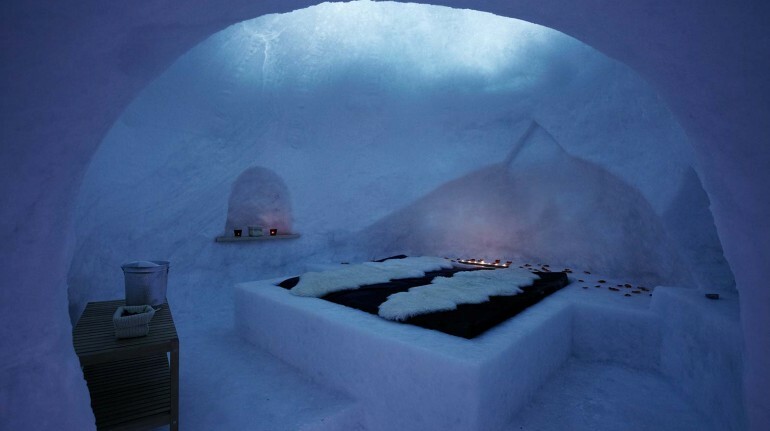 A perfect way to live an adventure out of the ordinary in harmony with nature, among ice igloos and tree houses. 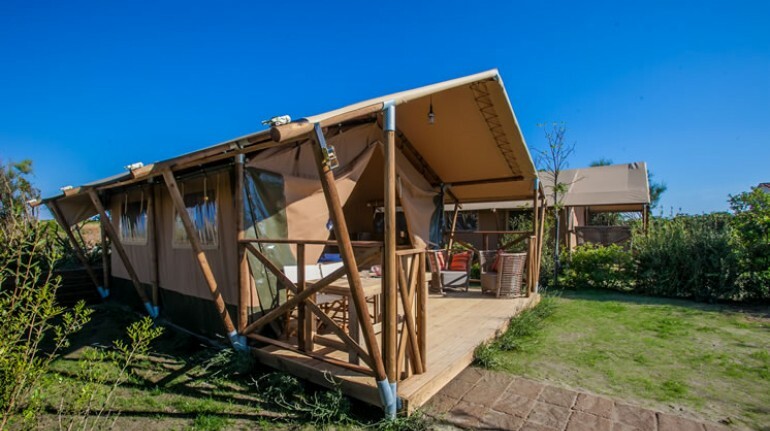 The Camping Capalbio, among different solutions, offers some really luxurious and unusual accommodations: the beautiful Berber tents a few steps from the sea and surrounded by the Mediterranean scrub. Why it’s green: only local food, bicycles available and water savings make eco-friendly this wonderful camping. 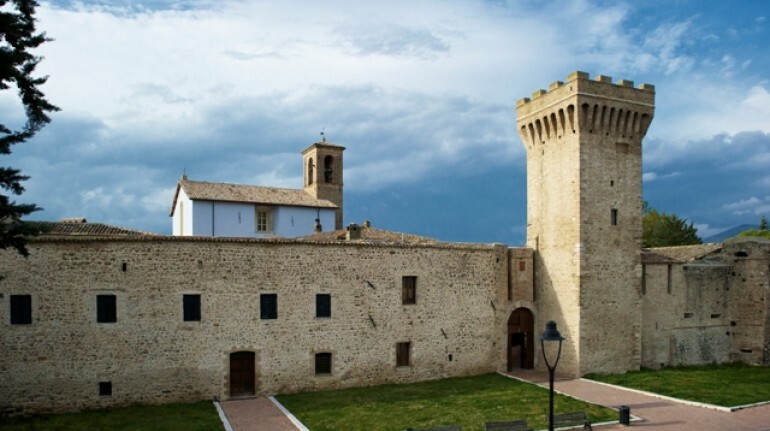 Don’t miss it: the campsite is located in the heart of Tuscan Maremma, read our green guide! Only 4 kilometers from the famous Alberobello, surrounded by clay, olive and prickly pear there’s your trulli, for a truly unique and unforgettable experience, perfect for a romantic getaway! Why it’s green: The Masseria Torricella is one of the superheroes of Ecobnb, with all 10 requirements of environmental sustainability. Don’t miss it: there is a heated pool, a hot tub, many paths for cycling… the list of things you can’t miss would be far too long! 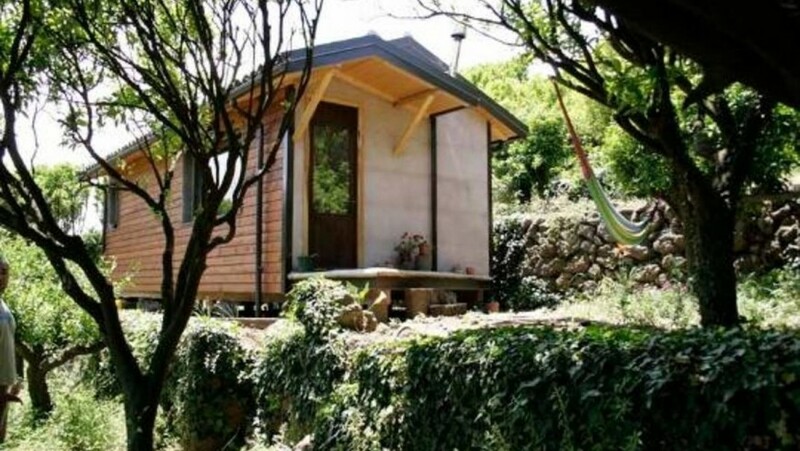 For adventure stays in Sicily, the Adventure Park in the Madonie offers a unique experience . 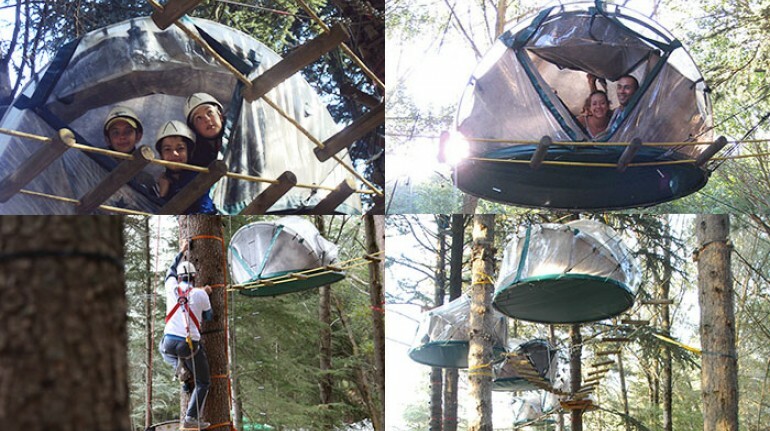 Inside a wonderful forest you can sleep in a tent suspended between the trees at seven meters above the ground. Why it’s green: the tents are eco-friendly, the food is mostly local and they recycle everything! Don’t miss it: In the park you can find 80 games divided into 10 adventure trails, suitable for both children and the more adventurous. To make this refuge an unusual accommodation is its very particular form, embedded in high altitude. It is a common hut, to fully enjoy the Mountain and understand the life in this locations. Why it’s green: The electrical energy is produced by photovoltaic units that allows the interior lighting and for cooking. 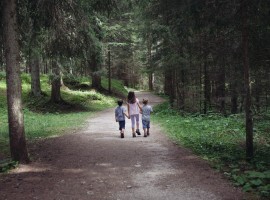 Don’t miss it: to get to the camp, which is located between the glacier Fréboudze in Courmayeur, you have to experience a beautiful route that starts in Lavachey. 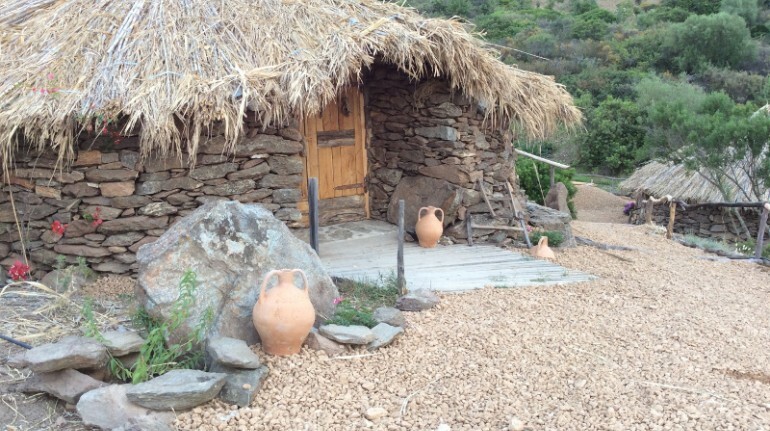 In the pristine nature, just 2 km from the sea of ​​Sardinia, the ‘pinnatu‘ have been recovered, the ancient shepherds’ huts creating a really special Albergo Diffuso where you can rediscover the pleasure of living in contact with nature. Don’t miss it: the village of Santa Lucia, a small fishing village overlooking the sea. 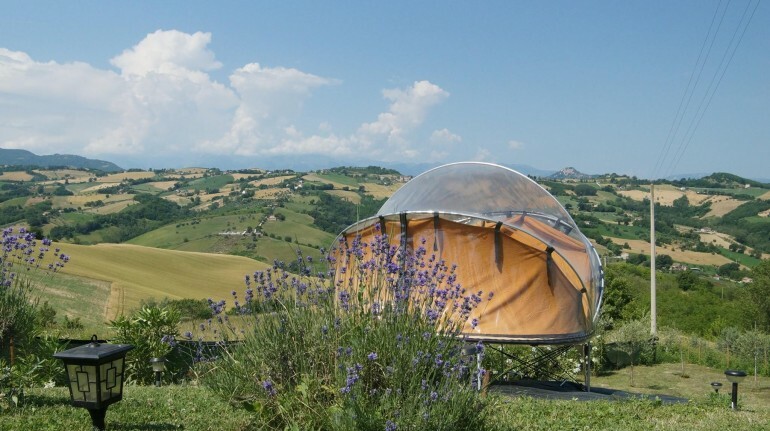 In the Marches there is an organic farm in the hills and near the Apennines, which offers an unusual accommodation: a round and transparent tent, from which you can admire the sky, discover the stars and wake up with the colors of dawn. Why it’s green: The house has been restored following the principles of bio-architecture, the water is heated by solar panels, the breakfasts are organic, there are low-energy light bulbs and the farm is reachable without a car! 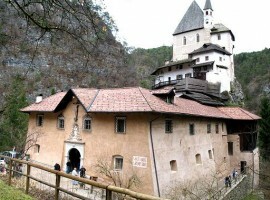 Don’t miss it: the surroundings hide pearls such as Lake Pilate and Infernaccio Gorge. Among the famous Hanbury gardens, overlooking the Ligurian Sea, there’s a charming historical residence, furnished with fascinating objects and artistic details. In one of the suites, there is a bed-boat, an old nineteenth goiter that has been lovingly restored and modified up to turn it into a very original bed. Why it’s green: the accommodation recovers rainwater, reduces energy waste, has an organic garden and uses eco-friendly cleaning products. Don’t miss it: the wellness center in the building, which offers botanical product and where you can discover the therapeutic use of aloe. 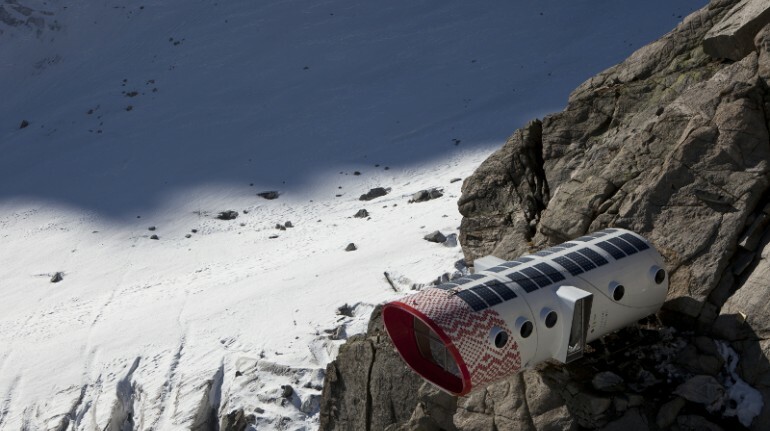 The eco-sustainable shelter at 2,845 meters, between the Oetztal Alps, offers during the winter season three authentic igloos, made of snow and ice for a romantic, really special night! Why it’s green: 100% of electricity used by the property, built in bio-architecture, derived from renewable sources. Recycling, saving water, the elimination of single-dose packaging, and many other small virtuous actions make this refuge really green! Don’t miss it: the accommodation offers the highest outdoor sauna in Europe. Swedish cabin with wood-burning brazier offers a unique experience of relaxation after a day of skiing. In the green heart of Umbria the Eremito invites you for a wellness holiday, in rooms obtained from the old cells of the old monastery in a timeless atmosphere. Why it’s green: this hermitage is totally self-sufficient from an energy point of view, insulation of the rooms allows you to eliminate waste and reduce to zero the impact on the environment. Don’t miss it: in the relaxation area there is a swimming pool carved in piety and a beautiful steam bath. 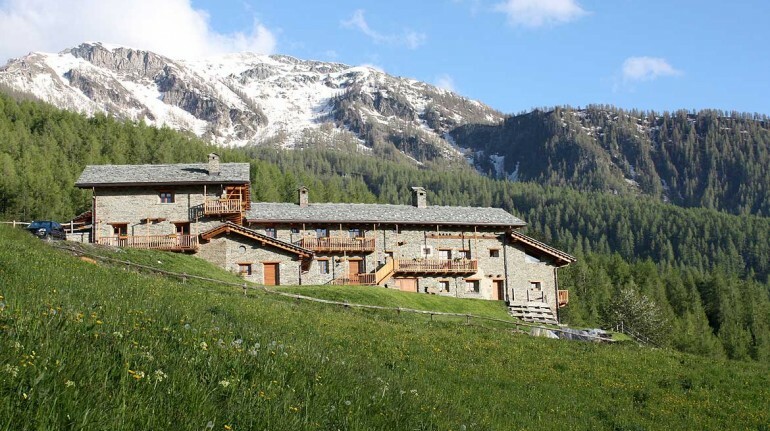 Sagna Rotonda was a small mountain village abandoned for years and then was restored by Giovanni and his wife who have turned it into a really special Albergo Diffuso, perfect for living in an unusual way the mountain. 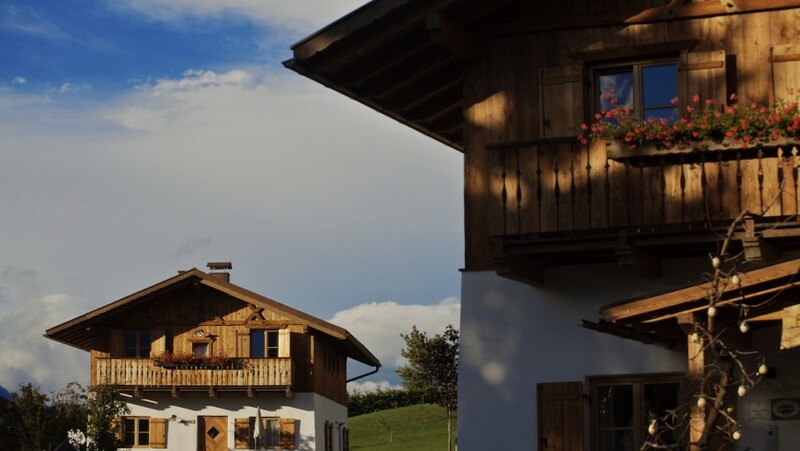 Why it’s green: all the houses of the village are powered by renewable sources, there are ecological cleaning products, and low-energy light bulbs. Don’t miss it: the Valle Maira is an enchanted place, still little known, which includes a pristine nature to explore with walks and cycle tours. 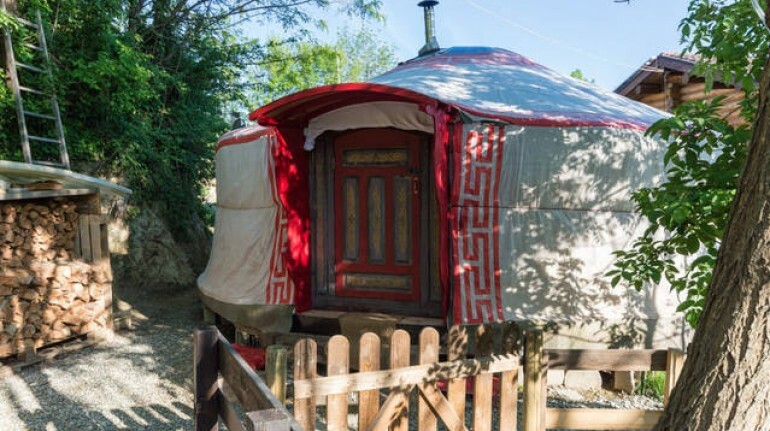 At 20 minutes from the historic center of Turin, surrounded by forests, the Soul Shelter Yurt, an original Mongolian tent, awaits you with an incredible panoramic terrace on the Alps and the city. Why it’s green: the tent is eco-sustainable since it is entirely built of wood, sheep felt and natural fabrics, illuminated by LEDs and low consumption lamps, wood-heated, clean and sanitized with natural detergents, with natural soaps for guests. Don’t miss it: the tent is located in Gassino Torinese, along the Via Francigena. 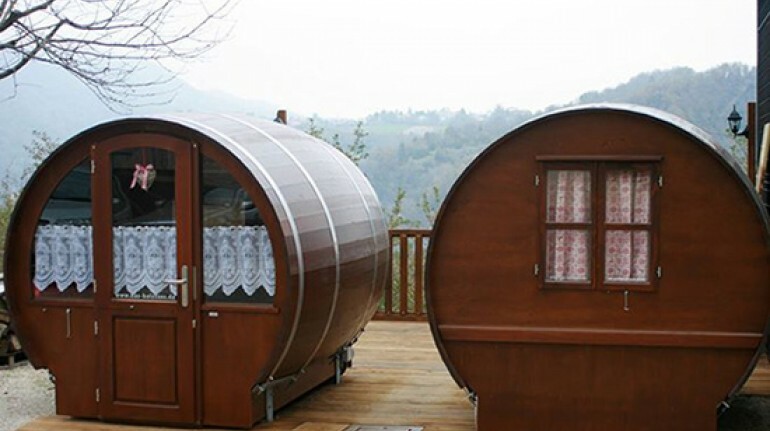 On the hills of the Marche, an eco-friendly B & B offers the perfect unusual accommodations for a romantic holiday: real wooden barrels converted into bedrooms full of charm. Why it’s green: organic food that grow in the family farm, separate waste collection and the flow reducers for water are some of the gestures of this B&B for a cleaner environment. Don’t miss it: a half-hour from the B&B and from its barrels you can visit San Benedetto del Tronto, with its beaches, and dive into the Adriatic sea. 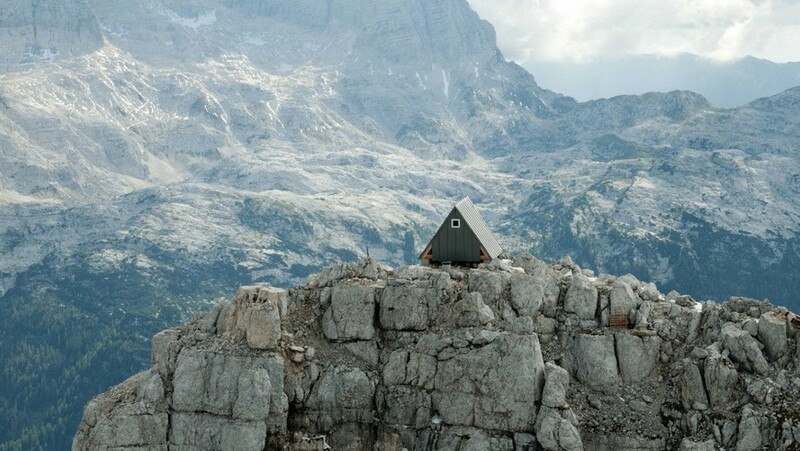 If you arrive here, at 2531 meters of altitude, in Friuli, among flowers, marmots, mountains and mountain goats, you will find the hut Luca Vuerich waiting for you, a cozy cottage with a spevente roof, which can accommodate up to 8 people, for free! Why it’s green: the accommodation was built with spruce from the Friuli area and fits perfectly with the surrounding environment. Don’t miss it: every little thing, the night sky, the sunrise, the sounds of nature, become an invaluable spectacle. Sit back and enjoy this daydream. In a fourteenth century castle romantic rooms welcomes the guests, where contemporary design blends with old furniture. Why it’s green: The Albergo Diffuso’s restaurant offers local food, the buildings have been restored with bio-architecture, and they save water and use low energy light bulbs. Don’t miss it: discover the wonders of Umbria, following our Green Guide. An organic farm, surrounded by nature, hide another unusual accommodation: a treehouse room, a romantic accommodation, with wooden floors and walls, platform bed on the floor and panoramic views. Why it’s green: in the farm Aperegina there is great attention to water, electricity, paper saving; you can see it through the production of hot water by solar panels, the system of collecting rainwater and the angle of waste collection. Don’t miss it: the farmhouse is located between the three National Parks of Abruzzo, the Green Region of Europe. Discover the karst plains of the Gran Sasso, the pristine nature of Majella, the Calderone glacier, waterfalls and caves. In the Tuscany’s Maremma, another unusual accommodations is waiting for you. B&B Pietra Serena offers the possibility to sleep in a beautiful yurt surrounded by greenery, where everything is designed for your well-being and relax. Why it’s green: in this B&B you will experience real farm life, living near the animals, tasting delicious organic food products locally, immersed in nature. Ecological cleaning products and energy saving light are used. Don’t miss it: you can take part in the daily activities of the farm or explore the marvels of Maremma, between medieval villages, natural hot springs and scenic landscapes. In the cosy location of Pamparato, Piemonte, two incredible unusual accommodations are waiting for you, and they will make you feel like you’ve travelled back in time. Two red cedar wood Tree houses are ready to welcome you for an holiday in the spirit of comfort and living together with nature. 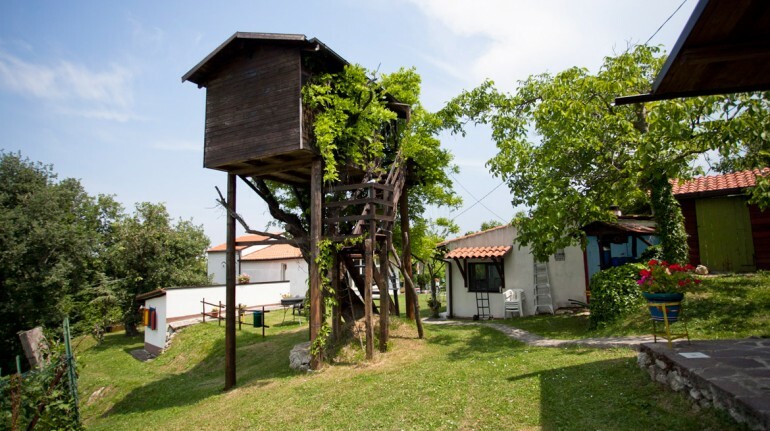 Why it’s green: in the tree house La Quiete you can enjoy home-made breakfasts with Piemonte’s local and traditional products and feel closer to nature. You will be able to breath clean air and use low-power energy! Don’t miss it: from the House you can leave and discover heavenly landscapes in Val Casotto and visit the suggestive medieval town of Mondovì, walking in the Parco del Tempo, park of time, starting from Belvedere, a huge tower fromt he 14th century belonging to the Bressani. Ten minutes away from the tree you can find the beautiful Valcasotto palace, which went from certosa to Savoia’s summer residence, until it finally became Villa Venaria of the first king of Italy, Victor Emmanuel II. We find ourselves in the region Apulia (Puglia), more precisely in the city of Bari, in the ancient contrada Le Dieci Porte, where a little town of trulli has been restructured in order to welcome tourists from all over the world, who wish to enjoy the wonders and traditions of the South, of a region, the beauty of which is eternal and unquestionable. Each trullo has its own kitchen, bedrooms and bathromms, in order to make your experience even more perfect. 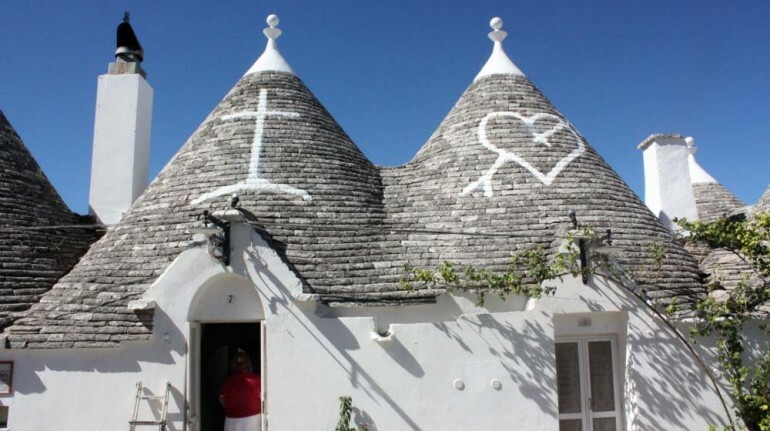 Why it’s green: each trullo has been renewed following bio-construction techniques and respecting nature. 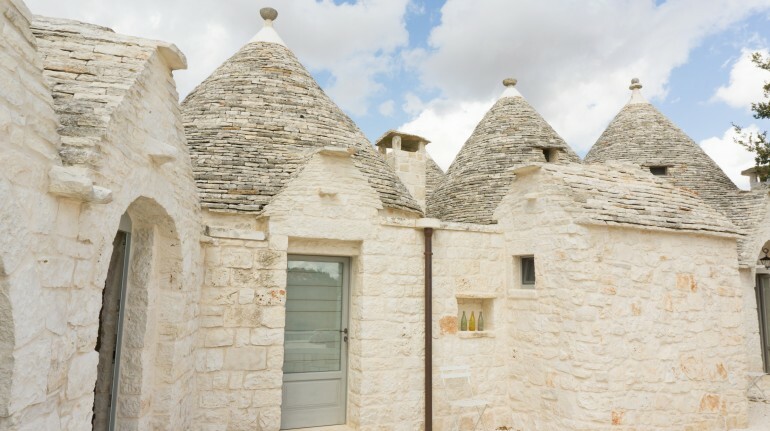 Indeed, all the matierials used to reconstruct are natural and follow the ancient tradition of the trullo. Furthermore, these unique little houses reduce the consumption of water and energy thanks to low-flow sinks and energy-efficient light bulbs. Don’t miss it: This little town of trulli is just a few km away from Alberobello and the city centre, where you can go around shopping, but if you’d rather dive into the sea, the Adriatic sea is just 30 km away! If you want to spend your holiday between the mountains and the sea, surrounded by the enchanting smell of fruits and vegetables cultivated with love and passion, a wonderful eco-chalet is waiting for you on the Ionian coasr between Catania and Messina, in order to offer you a unique experience discovering the real meaning of agriculture. It is an holiday in a special splace, between unusual accommodations and an atmosphere filled with history and traditions on the slopes of Etna. Why it’s green: all the fruits and vegetables are cultivated biologically, the structures has solar panels and a water heater which works thanks to pruning waste. 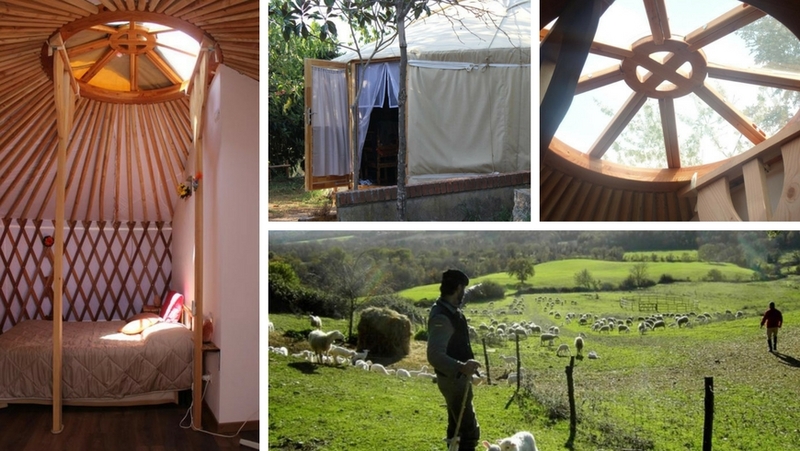 All these unusual accommodations, including the eco-chalet, have been built following environmental sustainability’s principles and pure love for nature. They meet indeed all the conditions to be in a completely peaceful relationship with the natural surroundings. Don’t miss it: many eco-tourism itineraries to discover the many wonders of Etna, Unesco heritage and highest volcano in Europe. You shouldn’t miss the train itinerary along the historical path of Circumetnea, among lava rocks, prickly pears, pistachios and ancient towns. Not to mention all the activities you can do to get in touch with biological agriculture: in fact, you can help in the fields and have fun getting your hand dirty! Near Lake Tavon and Coredo, you can find some unusual accommodations, which are also completely eco-sustainable and will make your summer and winter holidays a great experience. In these wonderful wooden cabins which belong to the Pineta Natural Hotel, you will find all the comfort you have always wished for: indeed, it is like a real house, with private rooms and bathroom, not to mention the kitchens with our delicious local food. Why it’s green: in your cabin you will always find km0 food and the energy is generated by 100% renewable sources. You will find solar panels, low-power light-bulbs…well, everything is designed to be in harmony with the environment! Don’t miss it: from your chalet you can start your excursions on foot or by bike, with snowshoes or ski, discovering Val di Non’s enchanted places e visiting the suggestive San Romedio Sanctuary, located on a 70 mt high calcareous cliff. You can also go for a romantic and unique experience on a carriage, around lake Tavon and Coredo. 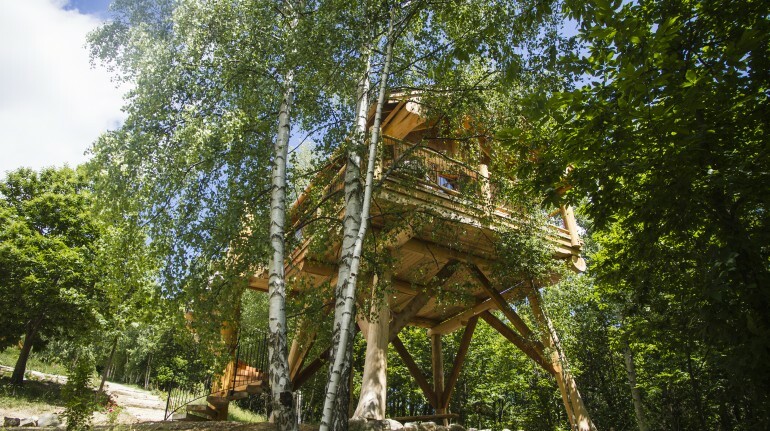 Which one of these unusual accommodations do you like best? Let us know with a comment! 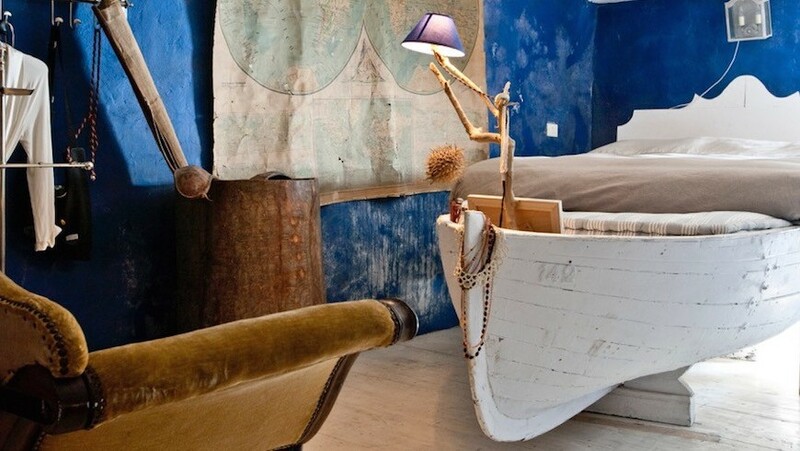 This entry was posted in green hotels and tagged Italy, unusual accommodations. Bookmark the permalink. 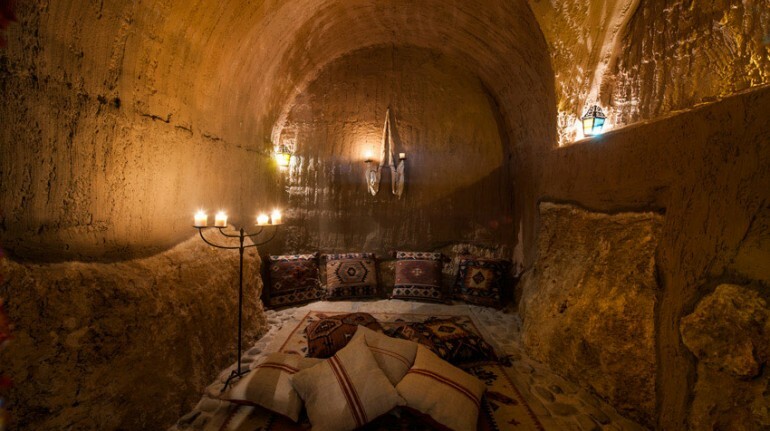 I love this post, and I totally agree with your point, So I will definitely come in your hotels, and thanks for providing the top 15 unusual accommodations in Italy.